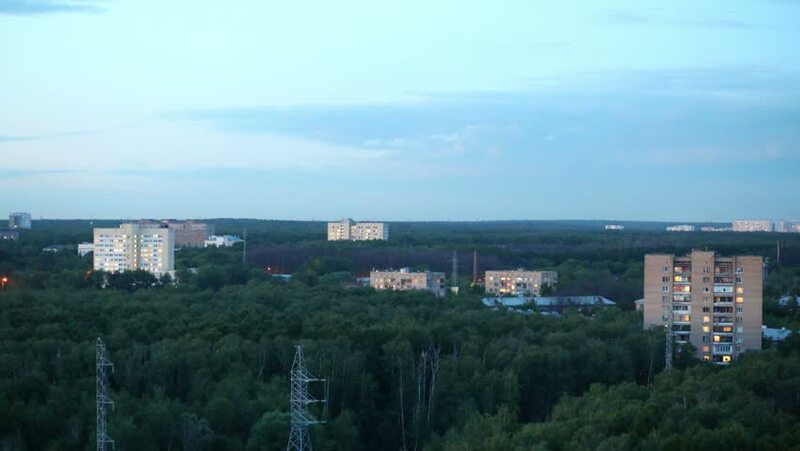 Modern buildings among the trees, darkens and the night comes. Time lapse. hd00:16Panoramic aerial view of Almaty city, Kazakhstan. hd00:10Timelapse of Kyiv botanical garden. View to the Vydubichi monastery and left bank of Dnipro river. Kyiv, Ukraine.